Inverness Gardens - Curtis & Windham Inc.
Westover, the William Byrd House on the James River, east of Richmond, Virginia, is an American archetype of Georgian domestic architecture. 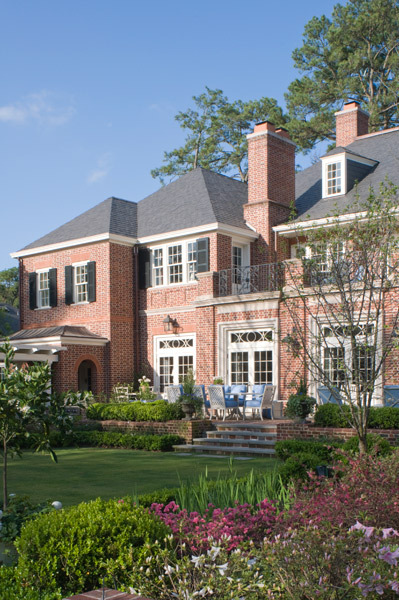 In designing the exterior features of the Inverness House, we looked to Westover for its frontal symmetry, pedimented entry, and steeply pitched hip roof, modifying its proportions to conform to the River Oaks context. To mitigate the converging property lines, we divided the long back garden into several terraced zones that follow the slope of the site: a low brick and bluestone stair leads from the rear terrace to a rectangular lawn surrounding the pool in the center. 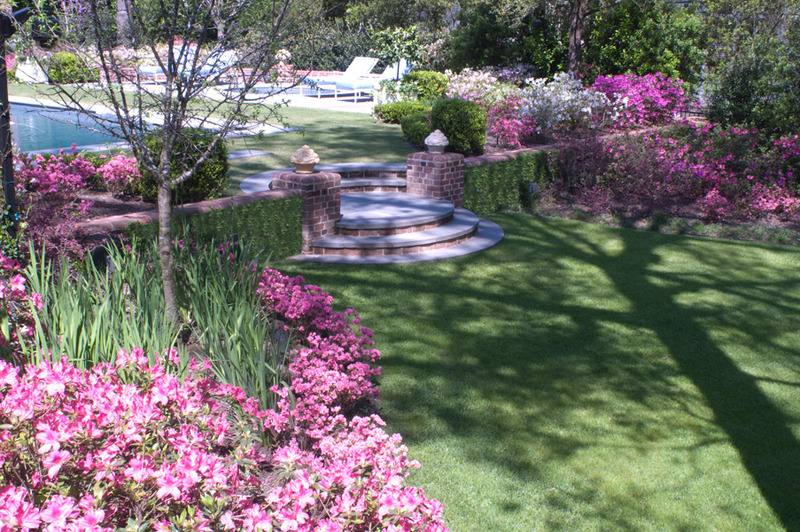 This, in turn, is connected by oval steps to a lower lawn ringed by a woodland landscape, where plantings disguise the proximity of the property line on the north side and give an illusion of symmetry along the central axis of the garden. 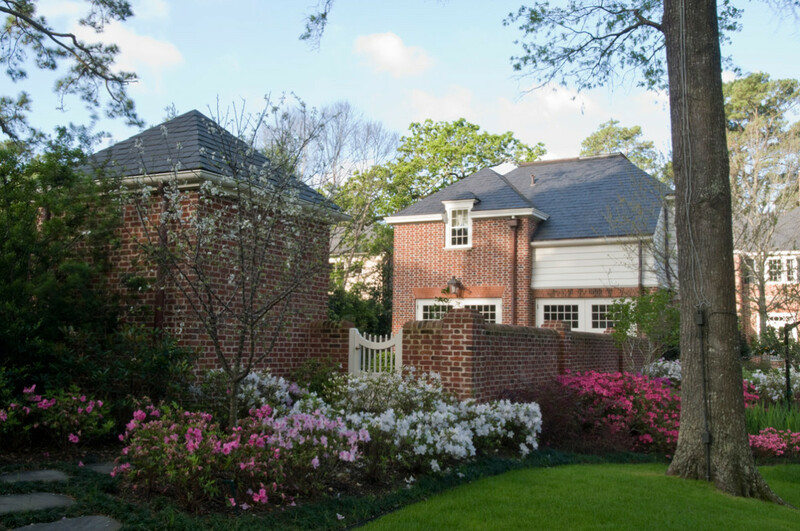 Host to a variety of azaleas, the Inverness gardens blossom beautifully in the spring, highlighting terraced transitions and complementing the red brick of the residence. View the Inverness Residence interiors.